Oh, how I live my days like this sometimes. From the moment I accepted Christ as my savior, I became a new creation (2 Cor. 5:17-21), that creation is God’s Masterpiece (Ephesians 2:10), his precious child who he dearly loves (John 1:12-13). However, many days I feel like something so different. Thankfully, someone’s identity is defined by what they ARE, not what they feel like, what they look like, or even what they act like. I may not feel like it, I may not act like it – but my identity isn’t defined by how I feel or act, it is defined by the creator. 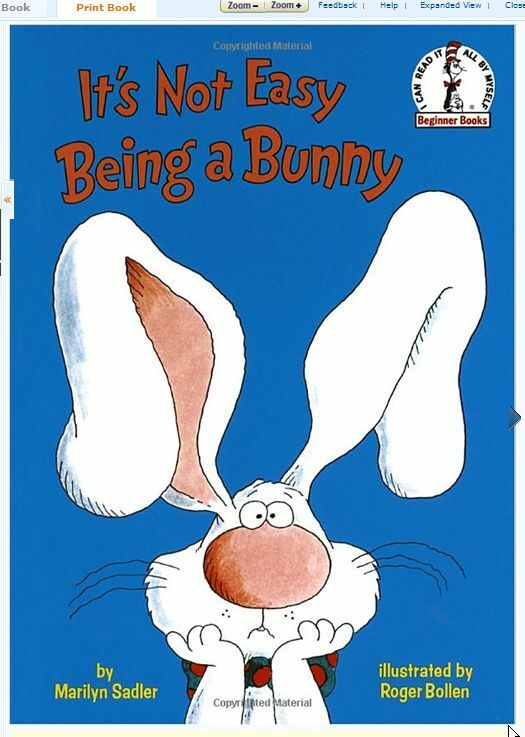 Just as the bunny could try as he may to be something he wasn’t, he couldn’t change the fact that he would always be a bunny. 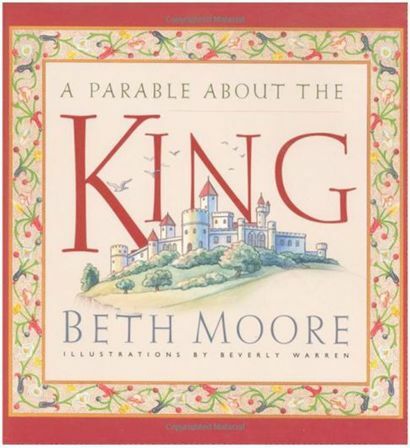 Beth does a wonderful job of reminding us we are a child of God, a child of the King, a child who is deeply loved, forgiven and wanted more than we’ll ever understand. Many times the pull of this world, the cravings of this world, beckon us to follow the world. However, we find this doesn’t make us happy, it doesn’t fill us and we are left empty and feeling guilty. We may act like we belong to the world, but we don’t. As Christian’s we belong to the Holy God! Lysa’s statement in chapter 5 of Made to Crave echoes in my ears this week, “We were made for more”. With each craving, negative thought, empty desire – my spirit has reminded me “I am made for more”… but what more? … God! We are his children and we should act like it! I was made to crave God, his forgiveness, his wisdom, his love… all of Him. Until I understand who I am in Christ, follow passionately the path God has laid out for me, and fill my desires and cravings with the Lord, then I will not truly live. For you created my inmost being; you knit me together in my mother’s womb. I praise you because I am fearfully and wonderfully made; your works are wonderful, I know that full well. My frame was not hidden from you when I was made in the secret place. When I was woven together in the depths of the earth, your eyes saw my unformed body. All the days ordained for me were written in your book before one of them came to be. For he chose us in him before the creation of the world to be holy and blameless in his sight. In love he predestined us to be adopted as his sons through Jesus Christ, in accordance with his pleasure and will. For we are God’s workmanship [masterpiece], created in Christ Jesus to do good works, which God prepared in advance for us to do. When you were dead in your sins and in the uncircumcision of your sinful nature, God made you alive with Christ. He forgave us all our sins, having canceled the written code, with its regulations, that was against us and that stood opposed to us; he took it away, nailing it to the cross. Yet to all who received him, to those who believed in his name, he gave the right to become children of God- children born not of natural descent, nor of human decision or a husband’s will, but born of God. Because you are sons, God sent the Spirit of his Son into our hearts, the Spirit who calls out, “Abba, Father.” So you are no longer a slave, but a son; and since you are a son, God has made you also an heir. Therefore, since we have been justified through faith, we have peace with God through our Lord Jesus Christ, through whom we have gained access by faith into this grace in which we now stand. And we rejoice in the hope of the glory of God. The LORD will fulfill his purpose for me; your love, O LORD, endures forever-do not abandon the works of your hands. For we know, brothers loved by God, that he has chosen you, because our gospel came to you not simply with words, but also with power, with the Holy Spirit and with deep conviction. You know how we lived among you for your sake. You became imitators of us and of the Lord; in spite of severe suffering, you welcomed the message with the joy given by the Holy Spirit. How great is the love the Father has lavished on us, that we should be called children of God! And that is what we are! The reason the world does not know us is that it did not know him. you also, like living stones, are being built into a spiritual house to be a holy priesthood, offering spiritual sacrifices acceptable to God through Jesus Christ. This entry was posted in Christian Walk, Made to Crave, Uncategorized and tagged #determined, Christian, Faith, identity, Made to Crave by Kim Montaini. Bookmark the permalink.